Art Practice as Research, Second Edition continues to present a compelling argument that the creative and cultural inquiry undertaken by artists is a form of research. The text explores themes, practices, and contexts of artistic inquiry and positions them within the discourse of research. Sullivan argues that legitimate research goals can be achieved by choosing different methods than those offered by the social sciences. The common denominator in both approaches is the attention given to rigor and systematic inquiry. Artists emphasize the role of the imaginative intellect in creating, criticizing, and constructing knowledge that is not only new but also has the capacity to transform human understanding. Graeme is Director of the School of Visual Arts, Penn State University, and Professor of Art Education. He is the former Chair of the Department of Arts and Humanities, Teachers College, Columbia University. He received both his PhD and MA in Art Education from The Ohio State University. Since the early 1990s his research has involved an ongoing investigation of thinking processes in visual arts and studio-based research practices. 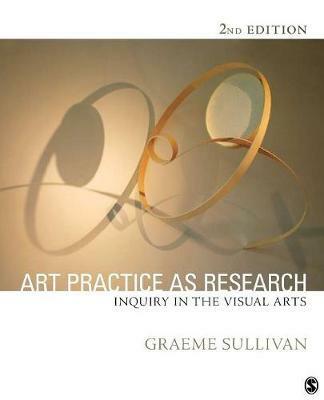 These ideas and approaches are described in the new edition of Art Practice as Research: Inquiry in the Visual Arts (www.artpracticeasresearch.com). Graeme has published widely in the field of art education and in 1990 received the Manual Barkan Memorial Award for scholarly writing, and the 2007 Lowenfeld Award for significant contribution to the field of art education, both from the National Art Education Association. Graeme is also the author of Seeing Australia: Views of Artists and Artwriters (1994). Graeme maintains an active art practice and his Streetworks (www.streetworksaert.com) have been installed in several international cities and sites over the past fifteen years.